Welcome to a Salon Suite Experience! When first arrving, you will enjoy an upscale atmosphere. 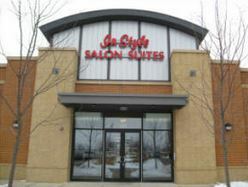 Enter my salon where a professional, personal and comfortable environment is waiting. With over 30 years of experience, and continuing education essential to me, let me take care of your hair care needs. Your satisfaction is my highest priority.